Authors as a collective community are crucial to all of our careers. We need support when we’re starting out, and often, we rely on each other for things like blurbs, joint events, spreading the word, and even just support and commiseration in this difficult and often lonely business. It’s easy to reach out to fellow authors on social media: it doesn’t feel invasive, and lest you doubt the power of these connections, I will tell you that two of the guests at my wedding last August were fellow writers who I originally met via Twitter. It used to be that unless you lived in a big city, your opportunities for networking with authors and book folks was limited. Not so anymore. Use social media to support your fellow authors if you want them to do the same for you. There is something I like to call the “serendipity effect” of being on social media. These are the difficult to quantify but very real opportunities created by being a regular contributor to the social sphere. Because I’m active on social media, I get many more opportunities than I would otherwise. Clients, speaking gigs, introductions to people who’ve made my professional and personal life better in myriad ways, have all come my way simply because I’m on social media and being myself. Being on these platforms makes me approachable. Likewise, when I’m looking for speakers for an event I’m working on, professionals to collaborate with, and authors to feature, social media is often my first stop. Fancy tactics aside, I believe that the audience for a book is built reader by reader. Survey after survey shows that people mostly get book recommendations from their friends. So how do you make it happen? Here’s something I’ve observed in the year since my book has been on the market: the readers who I have some kind of meaningful interaction with on social media—for instance those who’ve been giveaway winners or even whose posts I’ve commented on—are much more likely to spread the word that they loved the book, post a review, etc., even if I don’t specifically ask them to do so. When you’re wrapped up in the publishing world, it can be easy to forget what an accomplishment it is to be an author, and that it’s special to readers to hear from you personally. Many people on social media don’t live in New York or Seattle or any place they can go and see authors in person, so it’s meaningful to hear from someone whose work has moved them. And since connecting with readers is kind of the whole point of publishing books, it makes sense to use your social media as a natural extension of that work. At Certa Publishing, we know that social media marketing can be intimidating and we are here to help! Let us know how we can assist you in any way. As an author and social media marketer, I spend a lot of time thinking about the intersection of books and social media. I also know intimately the fatigue and overwhelm that comes from feeling like you have to be not only creating great work, but forever seeking new and ingenious ways to promote it. The quickest way to tire yourself out in this process is to set your eye on the wrong target, creating a Sisyphean struggle that is more likely to leave you feeling defeated than accomplishing even the most modest of marketing goals. When I ask most clients what their goals are in hiring me, I usually get some version of “to get more followers and sell more books.” I encourage them to think both bigger and more deeply about social media. Here’s why: You know those folks you see on Twitter who have 20,000 followers, but are following 21,000 people? This is a perfect example of when follower count becomes absolutely meaningless as a metric. How could anyone have even the tiniest interactions with that many people on a regular basis? They can’t. Numbers are helpful as a part of the picture; I’m all for tracking follow count, engagement, web traffic, conversions, Amazon ranking—these are all helpful indicators of progress. But becoming too obsessed with numbers ignores the social aspect of social media. Would you walk into a party with the sole mission of making twenty new friends? More likely, we go into social situations (even those specifically meant for networking) hoping to deepen our connections with our existing circle, meet some new and interesting people, learn some new things, and open the door to future opportunities and collaborations. Here’s how this translates to your strategic social media efforts as an author. Start with a list of ten or so books that fall into the category of what we industry types call “comp titles”—books that have a similar audience to yours. Look up these titles on social media, as well as Amazon and Goodreads. This will give you a concrete idea of who your audience is and how they’re discussing the books, as well as what else they’re reading, and what else they’re interested in. If you’re in the pitching stage, this can help you find and research agents and publishers (most of whom are active on social media). Once your book is on sale, this can help you narrow your audience by looking at people who bought your books and seeing what else they bought, giving you real info on which books share an audience with yours: if you see several that pop up again and again, read them! It’s an amazing opportunity for insight into how readers are interpreting your books. You have many more marketing tools at your disposal than authors in the past. Don’t overlook them. You’ve probably heard of influencer marketing, but what is it and how can you use it? Influencer marketing sometimes refers to massive global brands paying thousands of dollars to an Instagram star with a million followers for product placement, but it can also work on a much smaller level. Many brands take advantage of the potential reach of bloggers, You Tubers, and podcasters who’ve built sizable followings, and authors should too. First, let’s define an “influencer.” Really, it’s anyone on social media who has a following they’re regularly engaged with. One of the things I love about social media is that it makes “word of mouth” marketing—that much ballyhooed but often elusive magic—visible and quantifiable. You can see people getting excited about things their friends (or “friends”) love. Obviously, the bigger the person’s following—so long as it’s a truly engaged following—the more reach you’ll get, but don’t discount those who have a smaller but engaged audience. Check out places like the #bookstagram hashtag on Instagram to find a plethora of these folks. A word to the wise: These relationships are most meaningful when built over time, so be present by engaging (liking and commenting on posts), so that you’re not reaching out of the blue when you pitch them. Check back soon for part two of this series as Ms. Dunlop discusses networking, increasing your social media activity and that old tried and true method of word-of-mouth marketing. Is your Twitter activity feeling stale? Revitalize your Twitter experience! Check out this great article from Social Media Examiner. An article by Author Marketing Experts. Book marketing budgets are often a little tighter now. 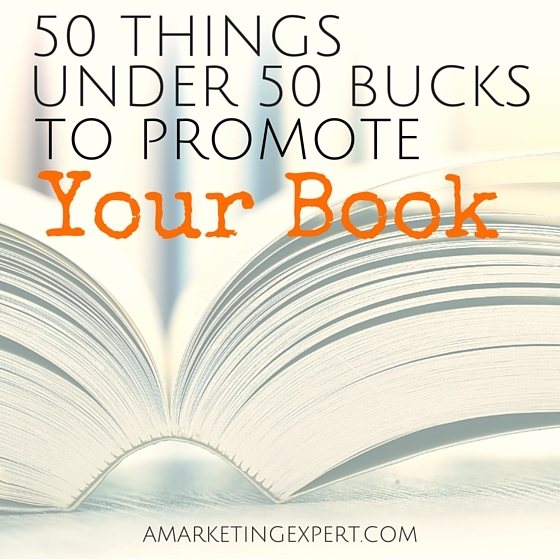 Whether you’re feeling the pinch, or if you’re just looking for some effective, inexpensive marketing strategies to do on your own, here’s the second installment of 50 marketing strategies for promoting your book. Did you miss Part 1? Check out the first 25 tips. 26) Visuals are so important these days, so how about getting an account on Vine or Instagram and doing short videos and pictures about your book or topic? Visuals are a great way to sell a book! 27) Write a review for someone else’s book that’s similar to yours. Not sure how this relates to your promotion? Well it’s called networking and it’s just a great idea to always do outreach. 29) Run a promotion on social media. Ask your followers to share your Facebook page, or to suggest you in a #followfriday – you can offer a prize to a random winner. 30) Subscribe to Talkwalker.com or Mention.com and make sure that you are getting alerts under your name as well as your book title(s), brand, and keywords. 31) Pitch yourself to your local television stations. 32) Pitch yourself to your local print media. 35) Stop by your local library. They love local authors. If you have a children’s book, see if you can come in during storytime, or for a special event during their summer reading program. For adults, reach out to their book club coordinators, or arrange a speaking event for their patrons. Try dropping off a copy to your main library; if they stock it chances are the other branches will too. 36) Go to Chase’s Calendar of Events (www.Chases.com.) and find out how to create your own holiday! The media loves a holiday tie-in so consider this as you pitching yourself. For example: got a fun tie-in to National Peanut Butter and Jelly Day (yes, that’s real)? 37) Going on vacation? Use your away-from-home time to schedule a book event or two wherever you are traveling to. 38) If your book is appropriate, go to local schools to see if you can do a reading. 39) Got a book that could be sold in bulk? Start with your local companies first and see if they’re interested in buying some promotional copies to give away at company events. 40) Don’t forget to add reviews and blurbs to your own website. 41) Trying to meet the press? Google “Press Clubs” in your area. They meet once a month and are a great place to meet the media. 43) Ready to get some magazine exposure? Why not pitch some regional and national magazines with your topic or submit a freelance article for reprint consideration? 44) Work on your next book or work on writing mini-books. Sometimes the best way to sell your first book is by promoting your second. Also, many authors are writing and promoting mini-books to keep readers engaged while they wait for their next book to come out. How long do mini-books need to be? 50-75 pages. That’s it! 48) Why not consider pitching yourself to Meetups? Head on over to Meetup.com to find some great groups that just might love to have you attend and speak to their members! 49) If the book club idea or event idea is something you want to do, but the cost of traveling (and the time off required) is a deterrent, then why not consider doing Skype sessions? You can go just about anywhere and do these. I’ve known some authors who live in Cleveland and do book group meetings in Auckland, Germany and other international destinations! And the Skype sessions don’t need to be all international; they can also be in the U.S.! 50) Submit to gift guides! We have a few on our blog, here http://www.amarketingexpert.com/the-ultimate-holiday-promotion-calendar-76-days-left/ but you can also find then by Googling “blogger gift guides” and see what pops up. Gift guides aren’t just big during the Christmas season but bloggers often have back-to-school gift guides, Easter/Spring gift guides, summer reading guides, etc. If you get your book listed, it could be a great way to get in front of a lot of new readers! Miss tips 1-25? Find them here! These days it seems like everyone’s book marketing budget is a little tighter. 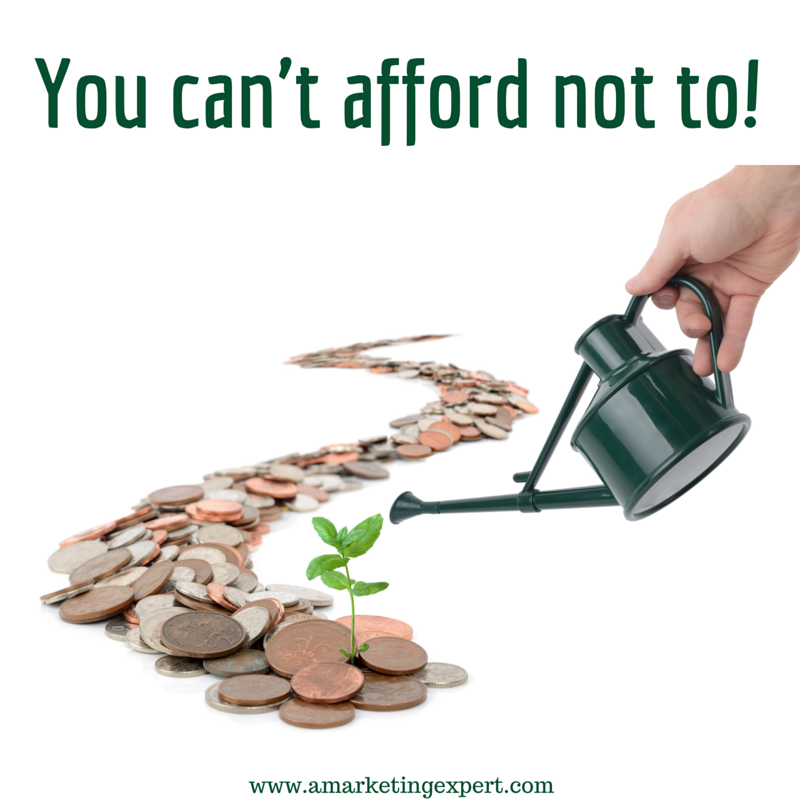 If you’re feeling the pinch, or if you’re just looking for some great, inexpensive marketing strategies to do on your own, here are some tips that can help keep you on track! 2) Super Fans. In order to grow your Super Fans, you must first find ways to engage them. Why not start by including a letter to fans in the back of your book? This letter would invite them to post a review or contact you so you can build your mailing list. 3) Start a Facebook Fan page. Fan Pages are much better than a personal profile for marketing because they’re searchable in Google. 4) VIP Fans. If you’re ready to ramp up your fans (and Super Fans) then consider creating a VIP group with fan exclusives like bonus content, early access to books and prizes. You can create these groups on Facebook! 5) Set up an event at your neighborhood bookstore. If your bookstore isn’t open to doing an event, why not consider doing events in other places – like a local Starbucks, locally-owned restaurants, pubs, etc.? 6) It’s all about content these days, so why not create a calendar for content? Often if you aren’t sure what to write, or when, a content calendar will keep you on track. You can plan the calendar around your free time (though you should blog weekly), and around holidays or events that may tie into your book. Then, while you’re at it, brainstorm content ideas and start a content folder that you can always refer back to when you aren’t feeling “inspired” to write anything. 7) Get yourself on Goodreads and start gathering friends and building your profile there. 10) Ready to get some business cards? Head on over to Vistaprint.com. The cards are free if you let them put their logo on the back, but if you don’t, they’re still really inexpensive. Leave your business card, bookmark, or book flyer wherever you go. 11) Put together your marketing plan. Seriously, do this. If you don’t know where you’re going, any destination will do. If you don’t feel like doing an entire “plan,” then pick ten things you want to do this month to promote your book. 13) Time to get yourself onto Wattpad. Never heard of Wattpad? It’s a place where you can share your content, share chapters from your published book, short stories…whatever you want. It’s a fantastic way to build fans and get feedback on your work! 14) Send thank you notes to people who have been helpful to you. In an age of “everything email,” a handwritten thank you note speaks volumes. 22) Develop a set of questions or discussion topics that book clubs or online book clubs can use for your book, and post them on your website for handy downloads. Make sure to get folks to sign up for your newsletter before giving away these discussion questions though! 23) See if you can get your friends to host a “book party” in their home. You come in and discuss your book and voilà, a captive audience! You can host it via Skype or on Google Hangouts and then promote it on your social media sites as well. 24) Find some catalogs you think your book would be perfect for and then submit your packet to them for consideration. If you’re unsure of what catalogs might work for you, head on over to http://www.catalogs.com/ and peruse their list. 25) Go around to your local retailers and see if they’ll carry your book; even if it’s on consignment, it might be worth it! Don’t just offer this at bookstores either. See if your community dry cleaners, gift shops, or restaurants will take it. Often, neighborhood establishments are very supportive of their local authors! Find the next 25 tips in Part 2! Periscope for Authors: What, Why, & How? While there are two ways you can use Periscope – 1. Broadcast your own content 2. Watch others broadcast their content – this article will focus on why and how to broadcast as an author. There are only two requirements to start broadcasting – have a smartphone & have something to say. As an author, you already have a message, so broadcasting is just another way of helping you reach and connect with more people. Periscope helps authors send their message into the world in a personal way. Who better to tell your story than you? Who better to share your content or your passion? When people SEE you, they also see your authenticity. If people like you, they’ll be interested in your books, your message, and your heart. As a broadcaster, Periscope allows you to share your world with others. Whether you’re at home working on a new book, traveling for a book signing, on a family vacation, or just bored in your office, it opens up an opportunity for a whole new level of connection with your viewers. Viewers are also invited to engage by asking questions for live answers and tapping the screen to send hearts to the broadcaster. Although it is fairly new, it looks like it is here to stay. In just a few months, Periscope reached over 10 million users – a number that has only continued climbing. It isn’t just another social media site to schedule posts for; it’s a new, unique way to engage with your current followers AND create even more fans. Here are a few thoughts on using Periscope to help you decide if it’s the right platform for you. Broadcasts are live and great for interaction, but they only live on Periscope for 24 hours. Although short lived, the videos can be saved, then posted on Youtube, and shared across your social media platforms. Periscope is owned by Twitter, so that is naturally the main social media connection. If your Twitter following is large, definitely consider starting to broadcast. If you Twitter following is not large, starting to broadcast could help build your presence on Twitter. Plus, you can always post on Facebook and any other social media platforms to invite people to join you on Periscope. Even if you’re thinking “I don’t know…My life isn’t that interesting. No one wants to hear me ramble about what I’m working on,” remember that people love “behind the scenes” and “on the go” video content. Every broadcast doesn’t have to be profound or long. Short and sweet is still better than nothing at all. Check out these helpful articles for more tips and tricks to getting started! 1. Offer tips. I recently did a Periscope, “Writers: How NOT to give up on the book of your heart” – I shared tips, but I also talked about my book Prayers that Changed History. Think about what will be valuable a reader…don’t just think about selling a book. 6. Start a group. Author Kim Cash Tate has built an awesome Periscope audience of women benefiting each other. 7. Set up daily chats. I know homeschoolers who offer encouragement during the weekdays at 8 a.m. and authors who do devotions every morning at a specific time. 8. If you have an online store, use promo codes. Give the codes during your scope and you’ll be able to watch the traffic. 10. Invite people to visit your website, blog or to sign up for your e-newsletter. Hold up cards to give the URLs, making it easier to write down. Are you on Periscope? Share your experience in the comments! If you’re not already on Periscope, do you think you’ll give it a go? Let us know! Facebook is a powerful marketing tool for professionals and creatives. This includes authors, as well. Much like other social network sites, Facebook has evolved into a useful tool which individuals, companies, and professionals of all kinds use to develop and maintain their online presence. Whether you have been using Facebook to connect with friends and family or you’re in the camp that doesn’t understand all the hype, it can be incredibly beneficial to create a presence on Facebook for both yourself and your product. Create an Author Profile Page. Create a page for people to “like” and keep up with your latest news. It’s imperative to post content that is relevant, engaging, and visually appealing on a daily basis (if possible). Share links from other authors, books, foundations, etc. Post photos and videos, quotes and excerpts, and links to your blog posts or any other related online presence. Be sure to share your achievements, successes, and upcoming events with your friends and fans! Create a Book Page. Create a book page for people to “like” and where people can keep up with news on you and your book. If you only have one book and do not plan to publish more, or you have multiple books that span different genres or audiences, consider skipping #1. Posting can be similar to your Author Page, but be sure to focus on the specific book being promoted. Offer excerpts from the book, provide information and tips, and share links to relevant resources. Use the power of networking and word of mouth. Ask your friends and family to “like” your page(s) and recommend it to their friends. There are many ways to invite, share, and suggest pages to friends. They are all are excellent forms of viral marketing that will help build your fans and followers. Search for related pages and people. When you were writing your book, were there any other books, authors, places, organizations, etc. that helped or inspired you? Search for, and connect with, these pages and profiles. Where is your target audience congregating online? Join the appropriate groups and chime in on their conversations—establish yourself as an expert. Advertise for more engagement. Although promoting your book(s) on Facebook is free, advertising for more direct engagement can yield a greater response. Consider the options and create an advertisement targeted to your ideal fan. Share excerpts from your book. Let potential readers sample your book’s content. Spark their interest and grab their attention with an informative highlight, and you will gain new readers that may have otherwise glanced over your cover or title. Post events. Whether you’re having a physical event such as, a book-signing, speaking engagement, or library tour, or hosting a virtual release of a book announcement, sharing new videos, or interviews, use Facebook’s “event” feature to promote it. These are all great tips to get you started on Facebook, as you grow your following and build an online presence for yourself and your book(s). Yet there are many other avenues and things you can try. Do your own research by observing what other authors are doing and asking questions. You’ll be one step closer to impacting many through social media!